Millennium 7 Publishing Co.: YOUR Social Media China Marketing? 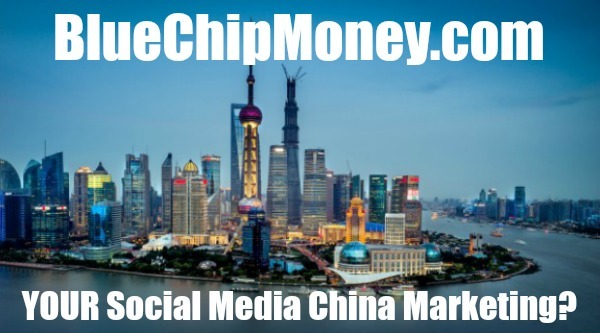 YOUR Social Media China Marketing? With the emergence of TMall and Alibaba’s Taobao Global U.S. Merchants Network to connect U.S. small businesses with Chinese consumers, domestic small businesses now also need to look at how they can reach those customers using social media.. The Chinese have created their own social networks, just like Facebook and Twitter, some with millions of users. This is why every small business that wants to sell its products in China needs to pay attention to these sites. WeChat, also known as Weixin in Chinese, started as a messenger app with NewsFeed features, but has grown to include a multitude of other utilities. WeChat includes a Moments page, which is more or less like a Facebook Wall where users can update their status by posting videos, text, photos or articles. Users can also use the platform to order movie tickets and taxi service. “Weibo” is the Chinese word for “microblog”. This platform is like a Chinese hybrid of Twitter and Facebook used by more than 22 percent of China’s internet users. Like Twitter, Sina Weibo’s content flows very fast and yet it is still easy to find the most discussed topics on Weibo and use them in your marketing strategy. In addition to publishing long articles with images or short posts, hyperlinks or videos, Weibo users can also repost, comment, search and send messages on trending topics. Founded in 2003, Youku is more similar to YouTube, the one big difference being it contains more professionally created videos as opposed to the more user generated content of YouTube. The site is now one of China’s top online video and streaming platforms. Live streaming and short video sharing has also become a popular trend in China. Short videos are a favorite because they are easy to share without the need for huge memory or bandwidth. Live streaming has also caught on in China and is experiencing unprecedented growth. The two popular mobile apps Miaopai and Yizhibo (for short video sharing and live streaming respectively) have both partnered with Sina Weibo, allowing users to view videos directly on Weibo, and thus increasing their exposure and popularity. It is hard to compare Douban with the western social media platforms as it is more of an interest-oriented social networking platform and a mishmash of Spotify, SoundCloud, Imdb and MySpace. Users can book movie tickets, download ebooks, discuss books, music, movies and events. And overall, users connect with one another based on similar interests and tastes. DianPing operates more or less the same way as Yelp, allowing users to review restaurants. However, it is important to note that this website takes ratings to a granular level, allowing users to vote for their favorite dishes at a restaurant. The platform operates much like Facebook. Launched in 2005, it largely grew popular after Facebook became censored in China. The platform even uses similar colors and designs to the orginal Facebook. However, Renren is no longer as popular as Weibo or WeChat due to its failure to anticipate the switch to mobile. Tencent Weibo is similar to Sina Weibo in terms of demographics and to Twitter in terms of functionality. Users can share videos, photos and text within the 140 character limit. The platform also boasts a reposting function that works just like Twitter’s retweet function. PengYou, which basically means “friend”, is another creation of the company responsible for Tencent Weibo. The “Facebook-like” site utilizes real names and emphasizes real friendships. The platform features a social area as well as a corporate outreach section that businesses can use to engage with their customers. Guest Authored By Antony Maina. Antony is a Staff Writer for Small Business Trends. His beat includes social media, general business reporting and exploring how people relate to technology. Antony is also a successful freelance writer and Founder of Word4Bloggers. For more than 5 years, he has written about business, education, content marketing, social media, travel, technology and more for national, regional and online publications including AAA World, Biz-news, The Huffington Post, and Whatsoniphone among others.